Artificial colors should be avoided. One should oil hair before playing Holi. Should protect eyes from harmful chemical present in some colors. Apply a thick layer of moisturizer before going out on Holi. Holi week has commenced! Indian community is all geared up for celebrating the ‘festival of colours’. The occasion marking beginning of spring is widely celebrated across India with great fervour, pomp and show. Safety is the foremost aspect for holi celebration that should never be compromised. When entire nation wears the festive attire for celebrating annual festival with zeal, you need to consider few safety precautions for a memorable festivity. There are several ways to celebrate the exuberant occasion, which is also a symbolic representation of the love of Hindu deities, Lord Krishna and goddess Radha. 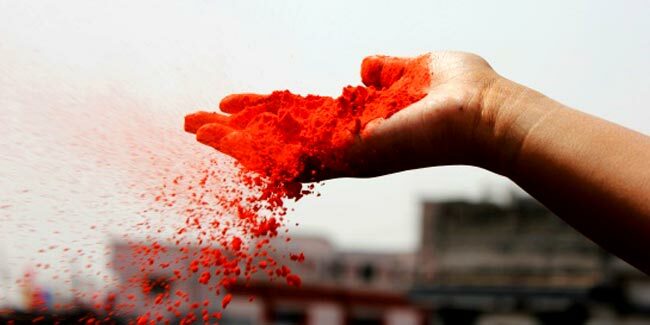 Apart from fun-filled social activities like playing with colours and drenching each other in water, several processions are also organised during holi in some parts of the country. On the other hand, communities also revel in Holi celebration by performing folk customs, dance and songs. 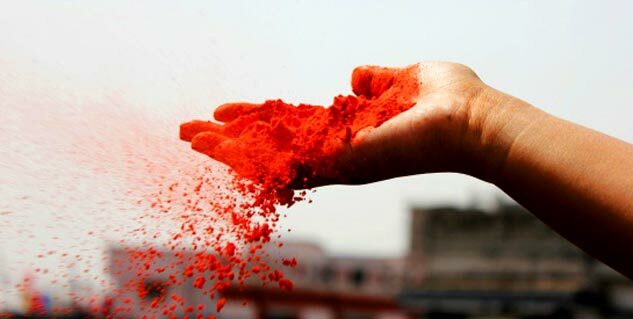 Avoid Artificial Colours: The marketplace gets flooded with artificial colours during the festival, which are prepared using harmful chemicals and irritants like sand, mica, glass powder, talc and lead chromate. These could cause severe health complications such as eye irritation, skin allergies, photosensitivity and dermatitis. Laceration and conjunctivitis are other plausible complications arising due to synthetic colours. Use Natural Colours: Instead use marked quality natural, skin-friendly and herbal colours this holi that are prepared using natural products. Facial Protection: Before leaving your home to play holi with community, apply thick layer of moisturising cream on the face to prevent harmful effect of toxins present in colours. In an event of attack on the face with colours, try every bit to keep lips shut and eyes closed. Hair Care: Oil your hair thoroughly before playing with colours in order to prevent any kind of hair damage due to chemically treated colours. Eye Care: Protect the eyes to prevent eye complications while playing with colours. If accidently, colour enters your eye, wash it away with clean water. Still if there is any irritation, rush to see a doctor. Dental Care: One can also wear dental caps for saving teeth from harmful chemicals and dyes. Clothing & Make-up: Clothes covering maximum body are considered ideal attire for the occasion. There is no point of dressing neatly or putting on make-up that will soon be wiped off.